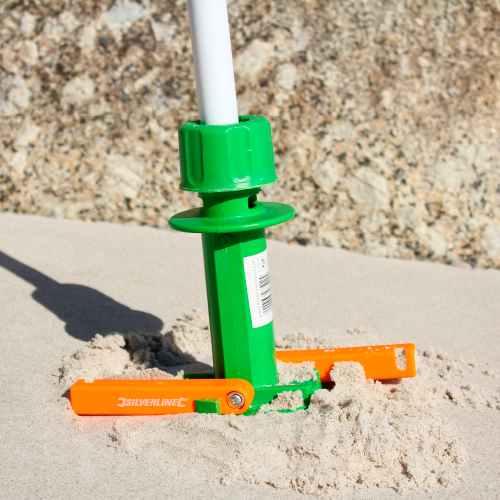 Made from super strong polypropylene. 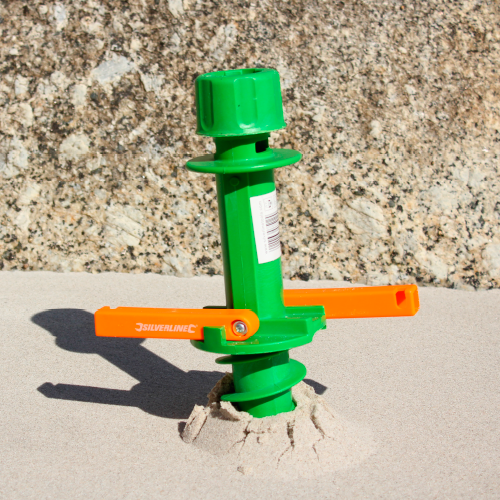 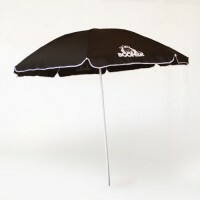 Ideal for securing beach or garden umbrellas. 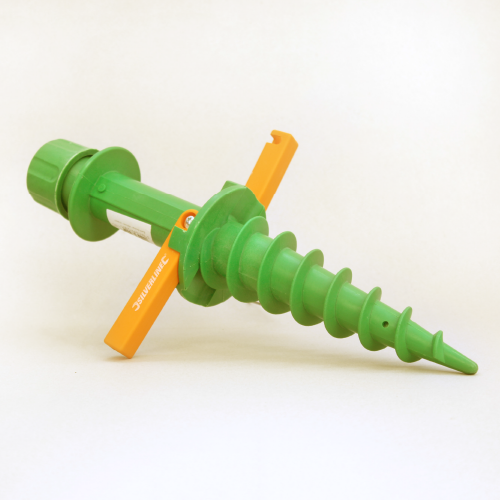 Easy to screw into ground with fold out handles for easy turning.